An estimated 2 million dead fish were found in Maryland's Chesapeake Bay. 2 million fish found dead in Maryland: Authorities in Maryland are investigating the deaths of about 2 million fish in Chesapeake Bay. Elizabeth Edwards leaves estate to kids: Elizabeth Edwards left everything to her children, with no mention of her estranged husband, John Edwards, in her will. How faith help uncovered a golden voice: By now, millions of Americans have heard from Ted Williams,"the homeless man with the golden voice." But it turns out that the good Samaritan who filmed Williams has a story of his own. China closer to matching U.S. fighter jets? Images believed to be China's next generation of military air power have been buzzing around the internet, but Pentagon officials are insisting its appearance does not mean China has matched American air capabilities. 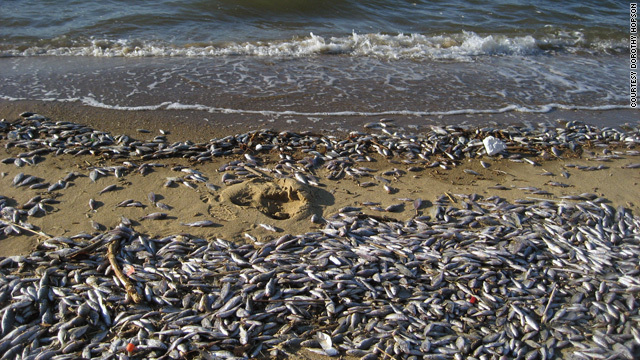 About 2 million dead fish were found dead in the Chesapeake Bay in Maryland. Former Illinois Gov. 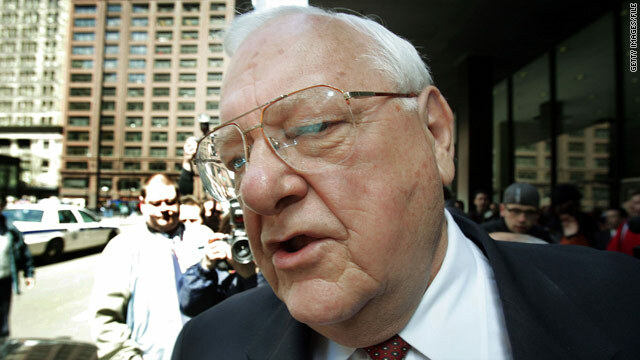 George Ryan, who is serving 6 1/2-year sentence on racketeering and fraud convictions, filed an emergency request to leave federal prison so he can be with his dying wife. Lura Lynn Ryan, 76, suffers from metastatic Stage IV carcinoma, an aggressive form of cancer that has attacked her lungs, back, pelvis, ribs and liver, according to an emergency motion for bail posted on the Chicago Sun-Times' website. Her family was called to her bedside after she was admitted to intensive care Wednesday morning for septic shock, the motion says. During her husband's incarceration, she has undergone radiation and chemotherapy "in the hope they will keep her alive until she can be with her husband to say good-bye," Ryan's lawyers say in the motion. "She has, at most, weeks to live." Police say Robert Butler Jr. killed himself after he shot the principal and assistant principal of Millard South High School. A Nebraska high school senior had been called out of class to speak with an assistant principal just hours before he returned to school and fatally shot her, Omaha police said Thursday. 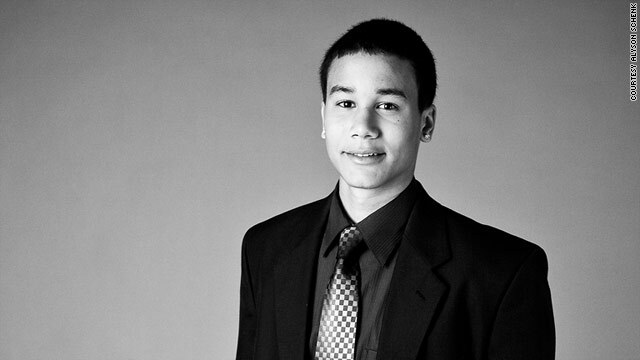 Robert Butler Jr., 17, also wounded the school principal and was later found dead of a self-inflicted gunshot wound. Millard South High School Assistant Principal Vicki Kaspar, 58, died at Creighton University Medical Center several hours after she was life-flighted away from the school with critical wounds. Principal Curtis Case, 43, remains hospitalized at the same facility in serious but stable condition. U.S. stocks ended mixed Thursday afternoon, as the dollar strengthened and investors mulled a rise in jobless claims and softer-than-expected same-store retail sales ahead of the December jobs report due Friday. The Dow Jones industrial average finished down 26 points, or 0.2%, with shares of Verizon, Travelers Companies, and AT&T leading the decline. Meanwhile Microsoft, Boeing, and Hewlett Packard posted the biggest gains. The S&P 500 fell 3 points, or 0.2%, as weak retail sales weighed on the broad index. Gap and Target were among the biggest losers. 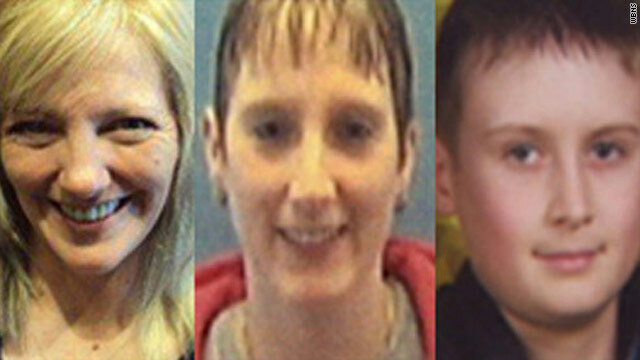 The remains of Stephanie Sprang, left, Tina Herrmann and Kody Maynard were found November 18. An Ohio man pleaded guilty Thursday and was sentenced to life without parole for killing and dismembering a woman, her son and her friend and hiding their remains in a bag in the hollow of a tree. Matthew Hoffman, 30, pleaded guilty to all 10 counts, including three counts of aggravated murder and kidnapping one of the victim's 13-year-old relatives, in Knox County in November. 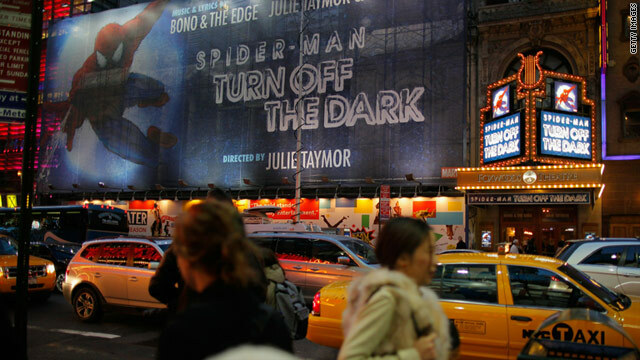 A Broadway actor who fell more than 20 feet during an aerial stunt in the musical "Spider-Man: Turn Off the Dark," has been released from a rehabilitation center in New York, a show spokesman said. Christopher Tierney, 31, was released from New York University's Rusk Institute of Rehabilitation Medicine on Wednesday morning, spokesperson Sam Corbett said. Tierney was moved into the institute after being discharged from Bellevue Hospital on December 28. He suffered four broken ribs, a hairline skull fracture, a broken scapula, or shoulder blade; a bruised lung, three cracked vertebrae and broken bones below his elbow as a result of his fall, his father said. "He is up," Tim Tierney said. "He is walking and just doing very well." He noted that his son is looking forward to returning to the show. Google's tablet-optimized Android 3.0 comes with a holographic user interface. Happy New Job 2011: Companies have started hiring again, but people are waiting for Friday’s big government report to see if there really has been an improvement. 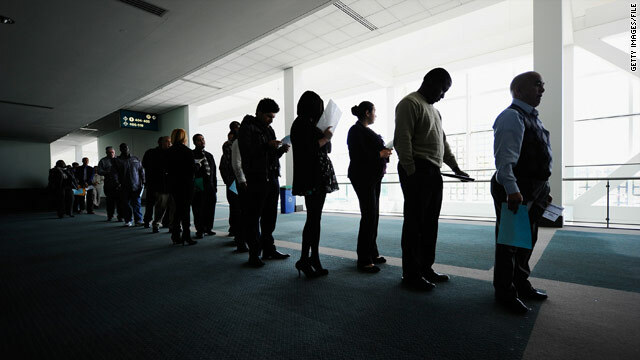 According to a CNNMoney survey, economists expect companies added 150,000 new jobs last month. The hottest jobs? Try accounting or IT - both have big growth prospects. 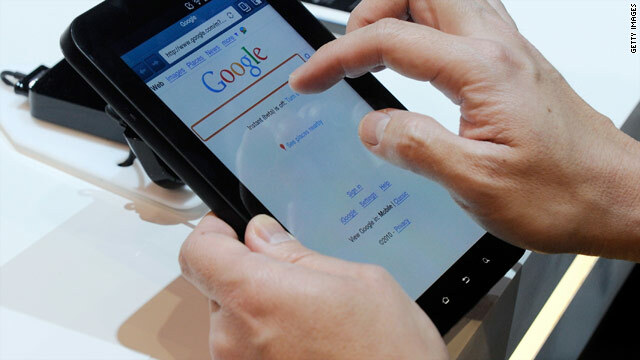 Google dazzles with Android preview: The tablet-optimized Android 3.0 - nicknamed Honeycomb - comes with a holographic user interface, home screen customization, desktop-like Web browsing and simpler multitasking. Motorola’s new phone… is a laptop (video): This powerful little smartphone packs a big punch. It features a portable docking station complete with keyboard, trackpad, and LCD screen. 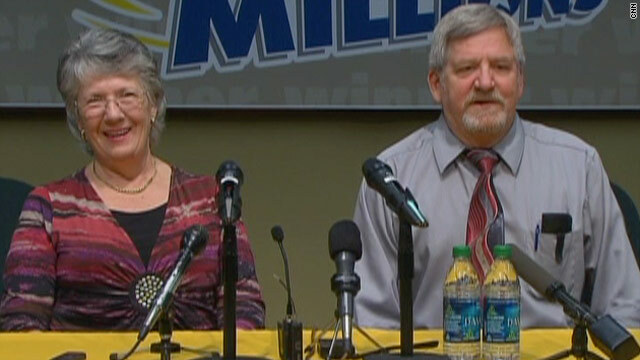 Carolyn and Jim McCullar of Washington will split the $380 million prize with a winner in Idaho. Mega Millions jackpot winner Jim McCullar and his wife, Carolyn, of Ephrata, Washington, stepped forward on Thursday to claim their half of the $380 million prize. The other winner, in Idaho, has yet to come forward. McCullar bought the ticket at a Safeway store in Ephrata using a combination of his and his wife's birthdays. This was the second time the numbers have brought them luck. He won $18,000 in Keno a few years ago, he said. A jovial McCullar described the moment he and his wife confirmed they had the winning numbers, sitting in front of their computer with the ticket in hand and the Washington lottery website opened. "I said, 'look at this and look at that.' She looked and she studied, and she looked and she studied, and she looked at me and she screamed," he said. "Tears started flowing down and I looked at her and I started crying. All she could say was, 'is this real, is this real?' And I says, 'I pinched myself already. We're awake and this is real.'" Emergency officials respond to the scene in Annapolis, Maryland after devices were found in government buildings. [Updated at 5:45 p.m. ET] ﻿﻿﻿﻿ Two Maryland state employees suffered slightly burned fingers when they opened packages containing incendiary devices that set off a flash of fire, smoke and a sulfur smell, authorities said. The packages were sent through the mail to two state office buildings. One was addressed to Gov. Martin O'Malley, said Maryland State Police spokesman Greg Shipley. The other was addressed to the Maryland Department of Transportation, officials said. One of the packages had holiday stamps and both resembled the shape of a book, police said. [Posted at 2:15 p.m. 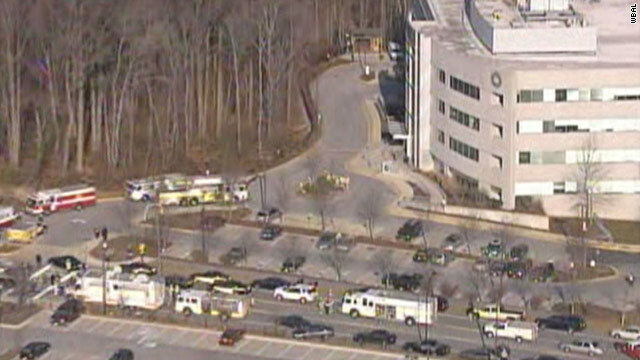 ET] Two Maryland state government office buildings were evacuated Thursday after small explosions ﻿﻿left one person with minor injuries, a Maryland state government official with knowledge of the situation told CNN. Authorities responded to devices found in the mailroom of a state House office building in Annapolis, Maryland, and at the Maryland Department of Transportation headquarters in Hanover, Maryland, said Philip McGowan, a spokesman for Annapolis Mayor Joshua Cohen. CNN affiliate WTOP reported that two packages "gave off a small explosion or flare-up when they were opened" at two Maryland state government buildings. One package was at the Jeffrey Building on Francis Street in Annapolis and another was at the Department of Transportation building in Hanover, the station said. Hanover is southwest of Baltimore. The Jeffrey Building in Annapolis houses the state Homeland Security office, the Secretary of State and Veterans Affairs offices and some divisions of the governor's office, according to state property managers. The Annapolis police bomb squad and firefighters are responding, McGowan told CNN. The Federal Bureau of Investigation and the state bomb squad are also rushing to the buildings, he said. 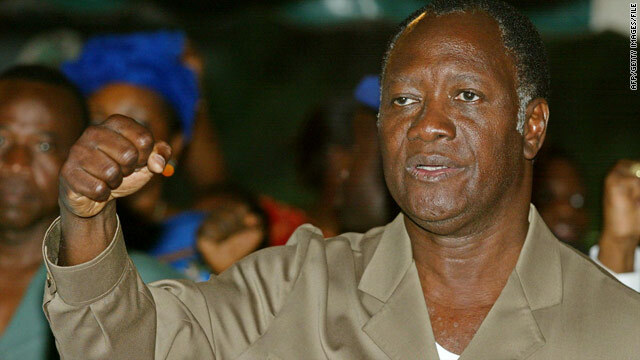 Ivory Coast President-elect Alassane Ouattara says military action will remove self-declared President Laurent Gbagbo. The British government announced Thursday that it has recognized Alassane Ouattara as the democratically elected president of Ivory Coast, the Foreign Commonwealth's Office said in a statement. 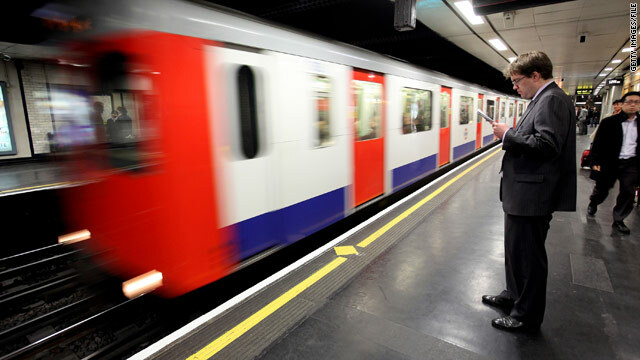 Police presence has been increased at train stations, underground stations and Heathrow Airport. The number of armed police and British transport police is being increased at transport hubs in London after a decision to raise the terror threat level for the civil aviation industry and London transport. The national terror threat level remains unchanged at "severe." 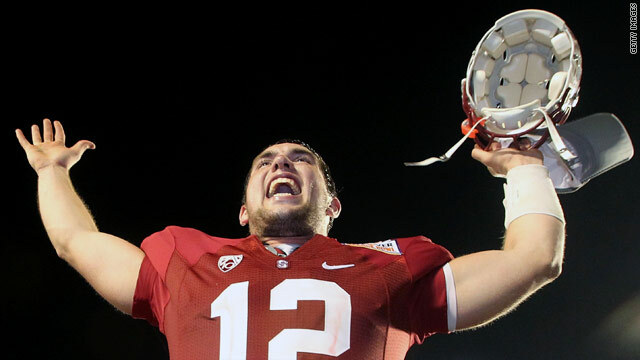 Stanford University quarterback Andrew Luck will not enter the NFL draft, the university says. Andrew Luck, the Stanford University quarterback and Heisman Trophy runner-up, says he will be staying with the Cardinal next season, according to the university's athletic department. Luck, a redshirt sophomore from Houston, Texas, had been projected by many to be the first quarterback taken - and perhaps the first pick - in the NFL draft. ESPN reported Tuesday that high-ranking officials with the Carolina Panthers, the NFL's worst team this year, said they would take Luck with the first pick, and SI.com's Andrew Perloff predicted Luck would go to the Panthers if he entered the draft. NFL rules require that underclassmen declare early whether they intend to enter the draft. January 15 is their deadline. "I am committed to earning my degree in architectural design from Stanford University and am on track to accomplish this at the completion of the spring quarter of 2012," Luck said in a Stanford news release. [Updated at 1:47 p.m.] Iranian authorities have denied earlier reports that an American woman was arrested on spying charges, according to Iran's state-run TV, Al-Alam. entry visa, Al-Alam reports, quoting an informed source. The U.S. State Department is looking into the reports. Mark Toner, State Department spokesman, told reporters on Thursday there are different news stories about what happened. He said the United States is reaching out to authorities in Armenia and to the Swiss government, which represents U.S. interests in Iran. 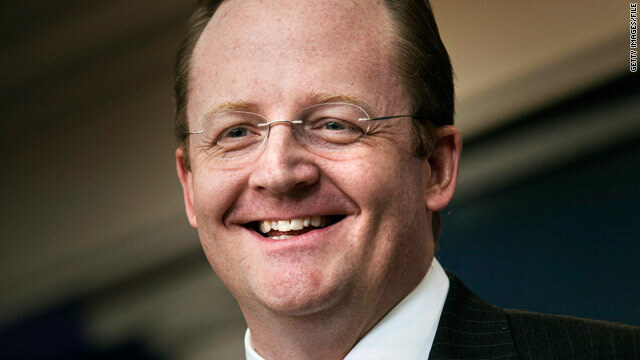 "There are lots of conflicting reports swirling about," Toner said. "We're reached out through our Swiss protectorate to try to ascertain the facts surrounding this incident." Toner said U.S. officials don't know whether the person is an American. 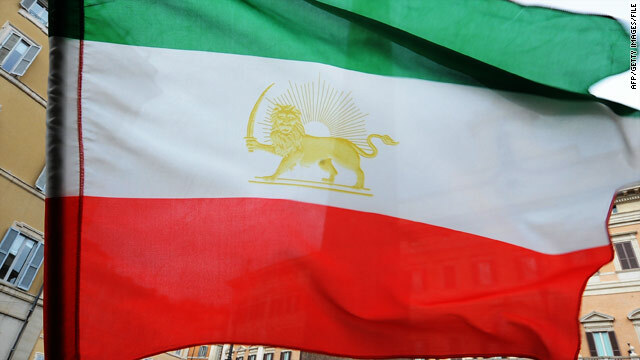 [Posted at 7:10 a.m.] Iranian customs agents arrested a 55-year-old American woman accused of spying, local Iranian media outlets reported on Thursday. Ex-WikiLeaker Daniel Domscheit-Berg's book will be out in February. 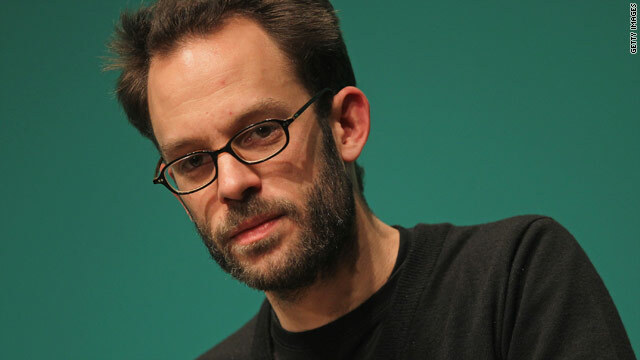 A man who played an instrumental role in the WikiLeaks website is penning a memoir that will hit stores February 15. No, it's not Julian Assange. We're talking about Daniel Domscheit-Berg, who abruptly quit WikiLeaks as its spokesman in September. His book will debut just weeks after a Vanity Fair article that promises to reveal the dramatic back story about the Guardian and New York Times' dealings with Assange. "Inside WikiLeaks: My Time with Julian Assange at the World's Most Dangerous Website" will "reveal the evolution, finances, and inner tensions" of WikiLeaks, according to Crown Publishing. Domscheit-Berg will also explain why he left WikiLeaks and his "disenchantment with the organization's lack of transparency, its abandonment of political neutrality, and the increasing concentration of power by Assange," according to a David Drake, the senior executive vice president of publicity at Crown. Since leaving WikiLeaks, Domscheit-Berg has said he plans to launch OpenLeaks.org, a site that will share information - obtained from anonymous sources - with outlets such as news media and nonprofit rights groups that are best able to report it. The book will tell the story of how Domscheit-Berg met Assange in 2007 at the Chaos Computer Club, a controversial hacker group based in Germany. CCC once reportedly published a German politician's fingerprints to protest using identity technology on passports. Domscheit-Berg worked with WikiLeaks for several years, helping coordinate significant leaks, including information about a corrupt election in Kenya and the release of a classified video showing a U.S. Apache helicopter firing at and killing civilians (including two journalists) on the ground in Iraq. It was reported in December that Assange had signed book deals worth more than $1 million. A judge set aside the conviction of Anna Nicole Smith's boyfriend Howard K. Stern who is seen in this 2006 photo. A judge Thursday set aside the conviction of Anna Nicole Smith's lawyer and boyfriend, Howard K. Stern, saying there was no evidence he intended to break the law by using false names to obtain drug prescriptions for the actress. The judge has also set aside several felony convictions against a doctor who was charged for her role in the death of Anna Nicole Smith. Judge Robert Perry dismissed all but one conviction against Dr. Khristine Eroshevich. He reduced the remaining conviction to a misdemeanor, fined her $100 and ordered her to serve a short time on probation. 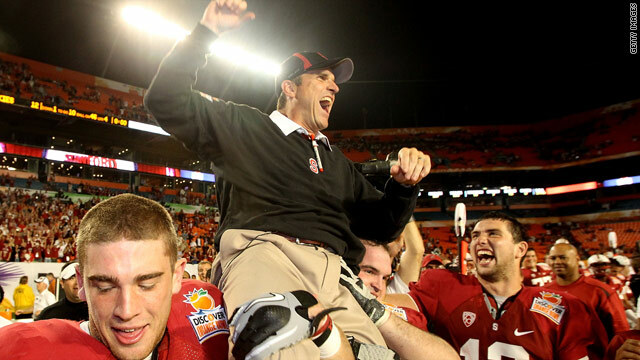 Stanford Cardinal coach Jim Harbaugh celebrates his team's win at the Orange Bowl. SI.com: Who's in the hunt for Jim Harbaugh? It’s safe to say that Jim Harbaugh is pretty set on heading out of the college ranks and making the transition to the NFL. But the bigger question is who will land the lauded and highly sought after Stanford coach who dreams of winning his first Super Bowl. SI.com’s Don Banks weighs in on the five teams reportedly interested in Harbaugh, coming to the conclusion that while the San Francisco 49ers are clearly the favorite, there are a few factors that could ultimately dissuade the Cardinals’ coach from joining the Niners. But which teams are willing to cough up the kind of cash that Harbaugh is apparently looking for? In come the Miami Dolphins, whose Harbaugh-landing prospects fall just short of the Niners. It’s not that they don’t have the cash to attract Harbaugh’s attention, but joining the AFC East with stacked teams like the Patriots and Jets is probably not how a first-year NFL coach is looking to start his career. Other teams in the running: Denver Broncos, Oakland Raiders and Carolina Panthers. While they have far less of a shot than the Niners or Dolphins, anything is possible as Harbaugh makes his decision in the coming weeks. 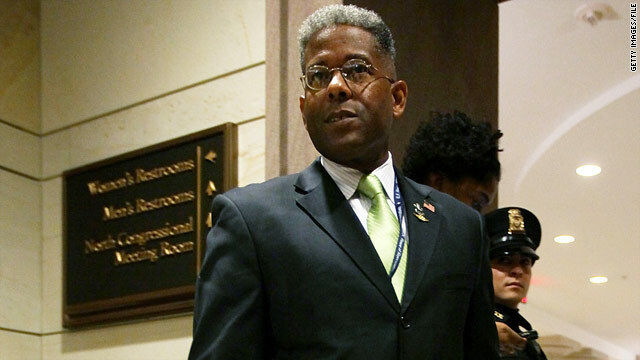 Allen West is the first Republican to join the liberal Congressional Black Caucus since 1997. The freshman congressman and Iraq/Afghanistan war veteran from Florida became the first Republican to join the liberal Congressional Black Caucus since 1997. Fellow Republican Tim Scott declined to join. "We need to bring those variant perspectives and voices to that body politic," he told NPR when asked about joining the caucus and African-American representation in politics. "You know, no one is really talking about an amazing story of this congressional cycle that you have 42 African-Americans who ran on the Republican ticket." West pointed out that the last time there was an African-American Republican member of Congress from Florida was during Reconstruction. "Somehow we've got to understand that historical tie, that historical bond, resurrect those principles," he said. "And, you know, everyone keeps beating up the Republican Party about not going to the black community. Well, that's why I'm there in the Congressional Black Caucus." 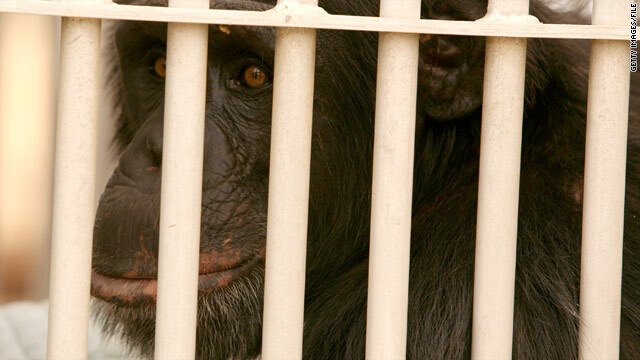 The Institute of Medicine will reassess the scientific need to continue using chimpanzees for biomedical discoveries. More than 180 chimpanzees, used in research testing for decades and set to be transferred from a New Mexico colony to a Texas research facility for possible use in further testing, will not be moved pending a review of the situation, officials have said. The chimpanzees are currently housed at the nonresearch Alamogordo Primate Facility in Alamogordo, New Mexico. They "will remain there pending an Institute of Medicine (IOM) in-depth analysis to reassess the scientific need for the continued use of chimpanzees to accelerate biomedical discoveries," the National Institutes of Health said in a statement issued Tuesday. The 186 chimpanzees were set to be moved early this year to the Southwest National Primate Research Center in San Antonio, Texas, where they could be used in additional experiments. 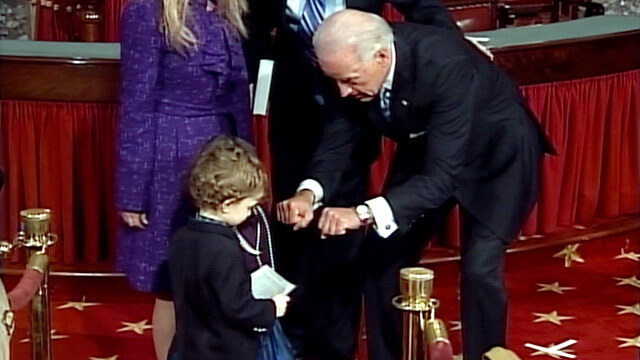 Vice President Joe Biden brokers a mint for his speech. Biden speechless – Only a child destined for politics would be clever enough to steal Vice President Joe Biden's speech. Here, Oregon Sen. Ron Wyden's three-year-old son swipes Biden's speech and refuses to give it back until Biden brokers a deal with him for a mint. We'll be keeping an eye on you, William Wyden.